Delmar's Medium/Heavy Duty Truck ASE test prep video series provides viewers with the opportunity to see, firsthand, how certified technicians perform tasks. In this set, the ASE task areas addressed are T1 (Gas Engines), T2 (Diesel Engines) and T8 (Preventative). Great for initial instruction or review prior to taking one or more ASE exams, each video has been shot on location in a professional truck maintenance and repair facility. Live-action footage adds realism, while close-ups and animations offer detailed explanation and reinforcement of key aspects inherent in each diagnostic and repair procedure. 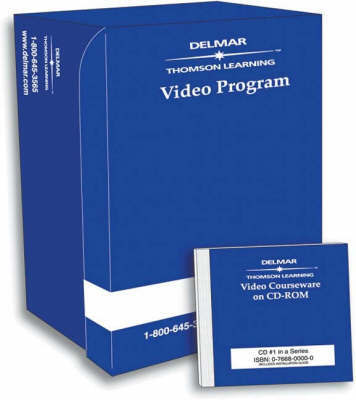 Available on VHS cassettes or CD-ROM, each module in this 12-part ASE test prep video series for medium and heavy-duty truck technicians may be purchased individually or as a series. Program Activity Sheets are also available for viewers who want to apply concepts and practices depicted in the series to actual, hands-on shop work.